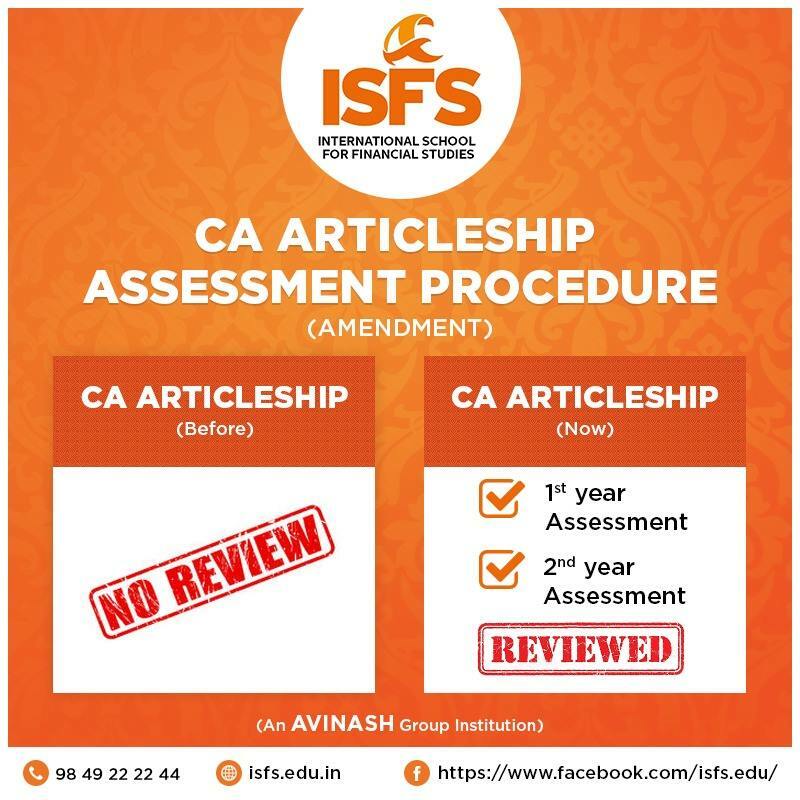 Team ISFS welcomes the move initiated by Board of Studies, ICAI to understand the knowledge progression of Articled Assistant during 3 Years of Practical training. Enhances the quality of training provided to Articled Assistants. Acts as a check on Principal to disseminate practical application of knowledge. Encourages students to pursue articles seriously.